U.S. 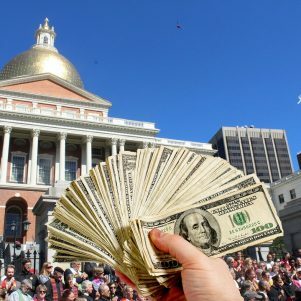 Senator Ed Markey followed through on his decision not to vote for his own Green New Deal resolution on the floor of the Senate on Tuesday, voting “present” instead. A procedural vote to take up the resolution failed 0-57, with 43 senators voting present. All 53 Republicans voted no. Three Democrats voted no, all in Republican-leaning states: U.S. Senators Joe Manchin of West Virginia, Doug Jones of Alabama, and Kyrsten Sinema of Arizona. U.S. Senator Angus King, an independent from Maine who caucuses with the Democrats, also voted no. Among Democratic presidential candidates, U.S. Senators Elizabeth Warren (D-Cambridge), Bernie Sanders of Vermont, and Kirsten Gillibrand of New York voted “present.” All had previously endorsed the Green New Deal. Markey (D-Malden) defended not voting for his resolution as a means of protesting the lack of substantive hearings in the Senate on the proposal to eliminate fossil fuels like oil, natural gas, and coal by 2030 in America and replace them with so-called zero-emissions renewable energy sources like wind, sun, and water. 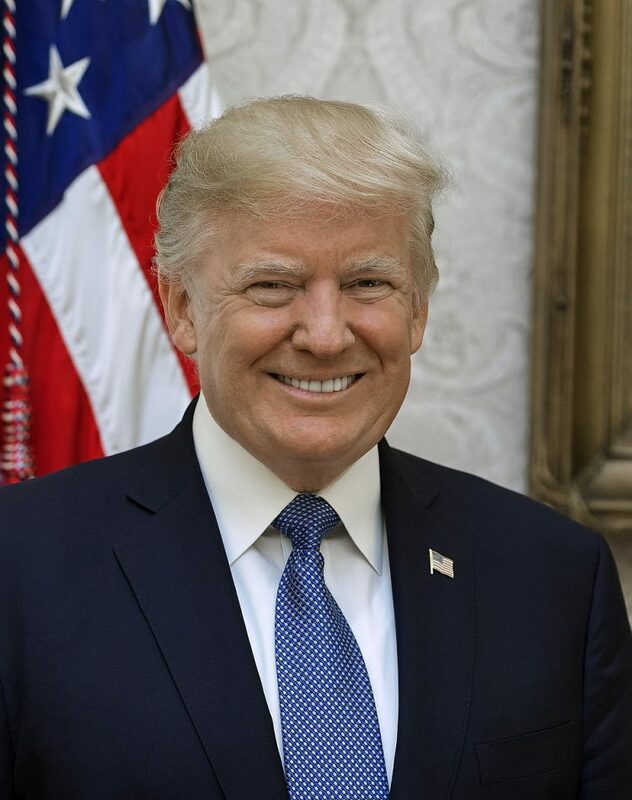 “The Republican leader is bringing out for a vote on the floor of the Senate this afternoon the Green New Deal resolution. 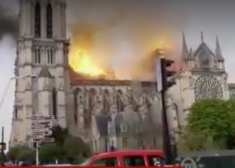 What the Republican leader, however, is not doing is allowing us to have any hearings, any witnesses, any science, any evidence of the massive destruction in our country just over the last two years from fires, from flooding, $400 billion worth of damage. None of that will ever be heard out here. None of it was heard in a committee, because the Republican leader is making a sham out of this process. 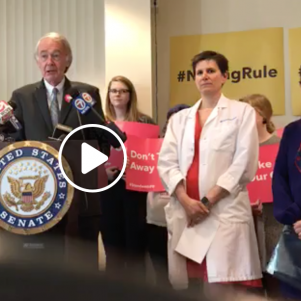 It is not a serious process that this incredible issue deserves,” Markey said on the floor of the Senate on Tuesday, March 26. 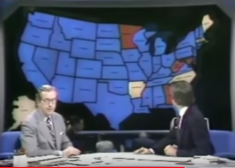 “Might sound like a neat idea in places like San Francisco or New York, the places that the Democratic Party seems totally focused on these days. But the communities practically everywhere else would be absolutely crushed by this, killing off entire domestic industries, winding down millions of jobs, basically outlawing the only sources of energy that working class and middle class families can actually afford,” McConnell said on the floor of the Senate. He professed astonishment that the resolution’s Democratic backers like Markey refused to vote for it. Markey said Republicans have no plan to deal with what he called “an existential threat” from global warming, which supporters of the Green New Deal say is causing rising sea levels, flooding, and natural disasters and is largely manmade by carbon dioxide emissions from fossil-fuel-burning engines. Markey blamed six hurricanes during the past two years and the western wildfires of 2018 on climate change. “This is all climate-related. We paid the price for this,” Markey said. Responding to Republican claims that American economic rivals like China and India pollute more and would surpass the United States if the country stops using fossil fuels, Markey said the United States must implement the Green New Deal’s goals first in order to get other countries to agree to them. “We’re in the fight because if we don’t lead, the rest of the world will not follow. You cannot preach temperance from a bar stool. You can’t tell China, you can’t tell India what to do if you are not leading yourself. We are the United States of America,” Markey said. 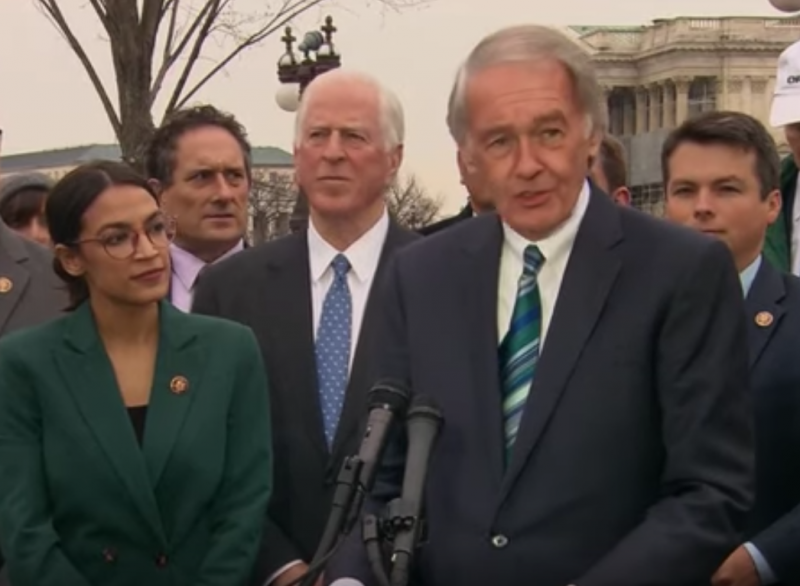 As for Republican claims that the Green New Deal would cost $93 trillion, or more than the Gross Domestic Product of all the nations of the world, Markey dismissed the figure as the bought-and-paid-for calculations of experts funded by oil billionaires and major Republican donors Charles and David Koch. U.S. 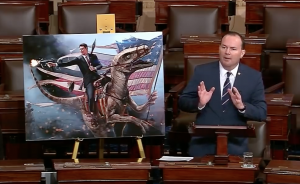 Senator Mike Lee (R-Utah) lampooned the Green New Deal with props on the floor of the Senate, at one point using an image of Ronald Reagan firing a machine gun and toting a rocket launcher while riding a dinosaur as a false image of winning the Cold War analogous to the false image the Green New Deal presents of dealing with climate change. 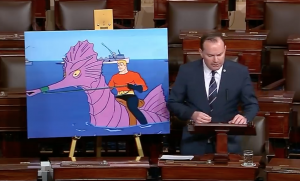 Lee also used an image of Aquaman riding a seahorse as “probably Hawaii’s best bet” for travelling between islands if the Green New Deal eliminates airplanes because they use oil. “The aspirations of the proposal have been called radical. They’ve been called extreme. But mostly, they’re ridiculous. There isn’t a single serious idea here. 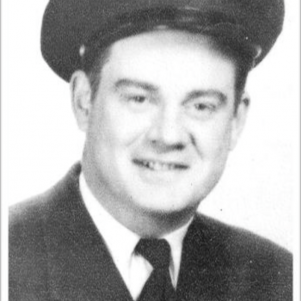 Not one,” Lee said. 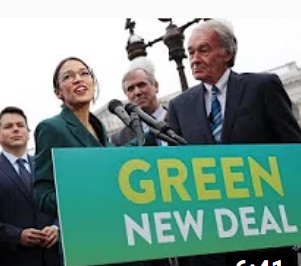 “… The Green New Deal is not a serious policy document, because it’s not a policy document at all. It is in fact an aesthetic one. The resolution is not an agenda of solutions. It’s a token of elite tribal identity, and endorsing it a public act of piety for the chic and woke. And on those embarrassing terms, it is already a resounding success,” Lee said. 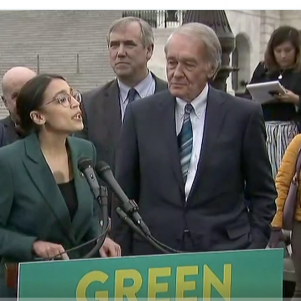 Markey is the sponsor of the Green New Deal resolution in the U.S. Senate. The lead sponsor in the U.S. House of Representatives is Alexandria Ocasio-Cortez, a Democrat from New York.